What's the first day really like? 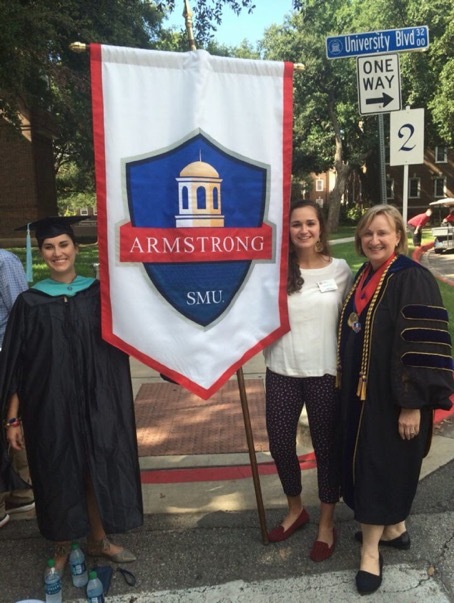 When you arrive in August, if you have any trouble finding Armstrong, don’t hesitate to ask for help! You’ll know once you make it to Armstrong when you see the Cupola. Armstrong residents, along with other students from other commons, will take care of getting all of your stuff, your bags, and clothes to your room. When you walk inside, you’ll get to meet our Faculty-in-Residence (Dr. Rita Kirk), our Residential Community Director (Lauren Anne Cove), Peer Academic Leaders, RAs, the Commons Council President, and other Armstrong Students. Once hands have been shaken, names exchanged, and room keys given, you’ll want to strike a pose for your first picture as an Armstronger! Once all that’s done, we’ll take you up to your room where you can unpack your things and get to know your roommate. Take some time to settle in and check to see if you have everything you need. Even if you don’t, the RAs will be able to help you out in getting anything you’re missing. After a day of getting settled into your new room, Arnold (the dining hall) will prepare a Texas-style meal, (usually burgers and hot dogs) for you and your family. Enjoy it and spend some time with your parents. Don’t be afraid to sit with strangers because you’ll be meeting new people all week! After dinner, you’ll say goodbye to your parents. Remember that your parents are only a phone call away so don’t forget to call them now and again! Welcome to SMU. Welcome to Armstrong.